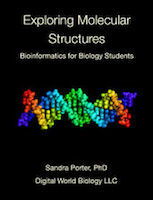 Bio Databases 2018: How do they taste? It’s a new year and new edition of Nucleic Acids Research’s (NAR’s) Annual Database issue. NAR’s database now catalogs 1737 molecular biology databases, up 75 from last year. Of the new databases, FlavorDB is a favorite.